Songbird 1.8.0 was released recently but you won't find any Linux builds if you try to download it from its official website. That's because Songbird is no longer supported for Linux. 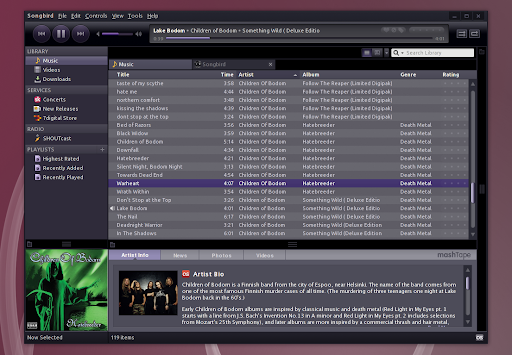 While many are still waiting for Nightingale, you can actually download and run the latest Songbird 1.8.0 for Linux. But don't expect any bugs you may find to be fixed. 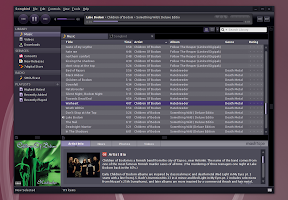 Songbird 1.8.0 comes with a complete visual and behind-the-scenes overhaul of the Service Pane, support for more devices such as BlackBerry Storm - a complete list can be found on Songbird's blog. To run Songbird 1.8.0, download the archive (link at the end of the post), extract it and run the file called "songbird" (and not songbird-bin !!). In case it doesn't start, open a terminal, "cd" into the Songbird folder and run this command: "rm lib/libgst*.so". I was really unsure rather or not to post this because I'm not sure if Linux users are still using Songbird. So, do you still use Songbird? What do you love/hate about Songbird?